Call Senate President Obhof to Override the Veto on Oil and Gas Leasing Appointments! We need your help on an important industry issue! Currently, the Ohio Senate is discussing whether or not to take up 11 different veto overrides included in the state budget bill (House Bill 49). One of these veto overrides includes appointments to the Oil and Gas Leasing Commission, the state body that would oversee state lands leasing. Governor John Kasich recently vetoed language in the state budget bill that would allow the leaders of the Ohio House of Representatives and Ohio Senate to appoint these Commission members. The Ohio House of Representatives has already voted to override this veto. Now, we only need the Ohio Senate to vote to override the veto as well and this language becomes state law. We are asking our members to call or email Senate President Larry Obhof and your local State Senator, and ask them to override the Governor’s veto on appointments to the Oil and Gas Leasing Commission! Your Senator needs to hear directly from you as to the importance of making these appointments and beginning the statutory process of leasing state-owned lands for oil and gas development. Below is a sample email/script to help you when you call your State Senators. Override the veto on oil and gas leasing commission appointments! I am writing you today to urge the Ohio Senate to override the Governor’s line item veto of language that would require appointments to be made to the Oil and Gas Leasing Commission as written in House Bill 49, the state’s operating budget bill. The language that was vetoed would allow the Speaker of the House and the President of the Senate to finally appoint members to the Oil and Gas Leasing Commission. Once appointed, the Commission would have the option to begin the process of potentially leasing state lands for oil and gas development. The law was passed by the General Assembly and signed into law by Governor John Kasich in 2011. Since then, the Governor has not performed his duty as required by the law—which was to appoint members to this Commission by October, 2011. Now, the Ohio Senate has the final say in implementing these appointments. Without an Oil and Gas Leasing Commission, the state cannot lease its lands for oil and gas exploration and, in turn, cannot achieve the financial and economic benefits of these activities. Ohio landowners are also negatively impacted by this inaction, as property owners with mineral rights are being blocked from development. Again, I am writing you today because Governor Kasich has not acted upon these appointments, as he was required to do under current Ohio law. Because of his inaction, I must ask you to override the Governor’s veto of these appointments to the Oil and Gas Commission and place the appointing authority in the hands of state’s legislative leaders to start a process that has already been delayed for six years. How Do You Find Your State Senator? 1. Get your “zip code-plus 4”. If you do not know your zip code-plus 4, please click here. 3. Click on “email your state senator” when the page loads. 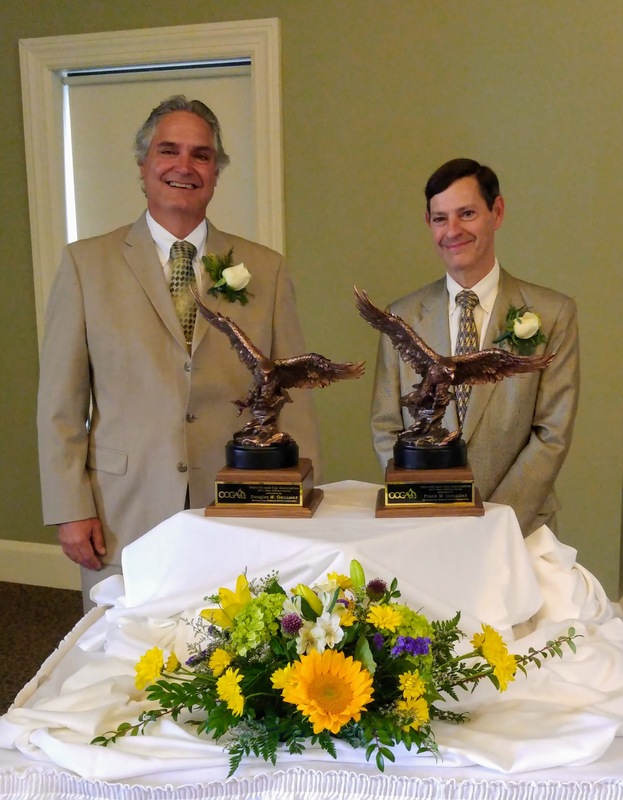 During an August 7 ceremony, the Ohio Oil and Gas Association (OOGA) presented Frank Gonzalez and Doug Gonzalez, co-owners of GonzOil, Inc. with the 2017 Oilfield Patriot Award, sponsored by Producers Service Corporation, an annual honor bestowed by the trade association at its annual Summer Meeting held at Zanesville Country Club. Established in 2006, the award recognizes individuals who have made significant contributions to protect, promote and advance the common interests of those engaged in all aspects of Ohio’s crude oil and natural gas industry. The Gonzalez brothers are the first pair to receive the award since its inception. 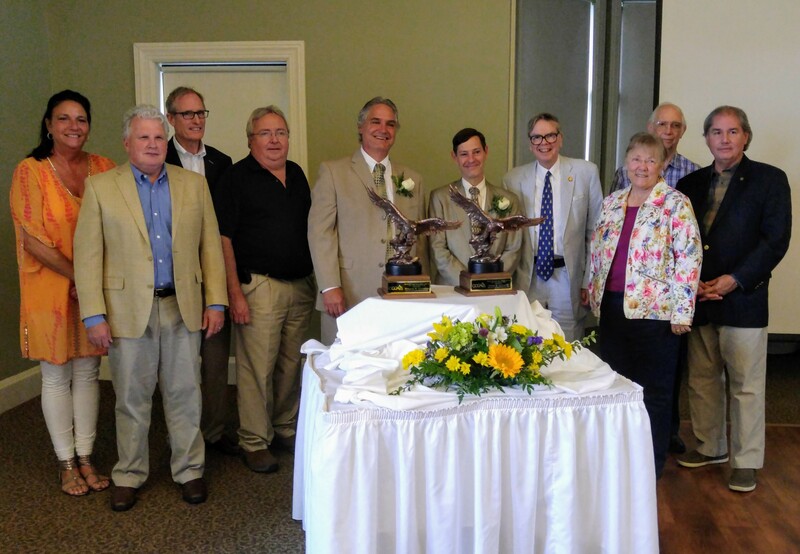 They were honored for their long-time advocacy on behalf of the industry, which has included working with state legislators and devout involvement within the Ohio Oil and Gas Association since the late 1980’s. The two brothers founded GonzOil, based in Canton and have been successful independent oil and gas producers in Ohio for nearly three decades. Residents of Canton, GonzOil, Inc. was incorporated in 1988 after they both decided to leave stable careers and go to work for themselves. Doug is a graduate from Kent State University with a degree in geology; Frank is a graduate from Ohio University and received his MBA from Harvard Business School. GonzOil drilled its first well in 1989. Their focus has always been to drill high quality wells, since they did not own their own drilling rigs, they never felt the need to drill a lot of wells. Past Oilfield Patriot Awards include: Tom Stewart (2016), Jerry Olds (2015), William G. Batchelder (2014), William Kinney (2013), Rhonda Reda (2012), Steven L. Grose (2011), David R. Hill (2010), James R. Smail (2009), W. Jonathan Airey (2008), Sarah Tipka (2007) and Jerry James (2006). A special thank you goes to Producers Service Corporation, who has sponsored this award since its inception in 2006. The OOGA invites you to join us for the annual Oilfield Patriot Award Dinner on Monday Aug 7! 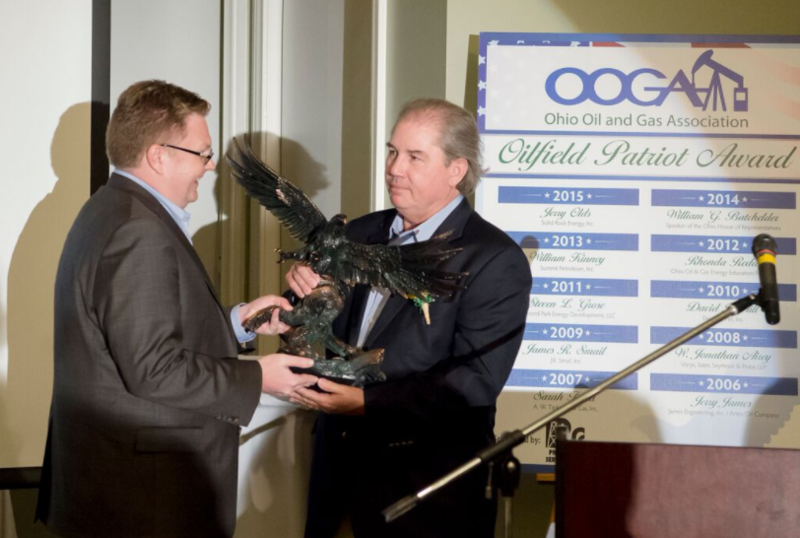 Each year during the Summer Meeting, your Association hosts the Oilfield Patriot Award – an award dinner to honor an industry member who has made outstanding efforts towards the betterment of the Ohio oil and gas industry and our livelihoods. Festivities will include a reception, dinner, award ceremony and a video presentation honoring the recipient. Join us at the new OOGA Networking Welcome Reception following the the Oilfield Patriot Award Dinner. OOGA will host an evening networking reception Monday at the Zanesville Country Club for all event attendees! Recreational catch and release fishing has been added as a new event! Fishing will be held on Monday and Tuesday during the Summer Meeting. Luburgh Inc. is hosting the OOGA for fishing at it's beautiful private pond, stocked with bass, catfish and bluegill. Lunch and beverages will be provided and participants need to bring their own equipment (fishing rods, tackle and bait). Attend: Pre-register today to save time when checking in at the event! Onsite registration will be available at the event. Golf flights are forming and we have added fishing this year along with our other annual activities of clay shooting and tennis matches. Room reservations are available for purchase at various local hotels. View hotel options by visiting the Staying in Zanesville page and call directly to book your room. *Golf Hole sponsorship is $125, or spend $200 to have your sign at both golfing venues! On Monday, July 10, 2017, The Ohio Controlling Board did something that shocked the oil and gas industry –they approved a $15,000,000 raid on the Oil and Gas Well Fund. Money in this fund is generated through fees, severance taxes and penalties all paid by the oil and gas industry. The Controlling Board is made up of six legislators, three from the House and three from the Senate and the Board President who is a representative from the Office of Budget and Management. The Legislators who sit on the panel are supposed to act as a road block to rogue Agency spending requests. On July 6, 2017, the Controlling Board members were alerted to the requests that would be considered at their July 10th meeting. One of those requests came from the Ohio Department of Natural Resources who was requesting $15 million be taken from the oil and gas fund so that they could fund a settlement negotiated through a protracted legal battle brought by landowners at Grand Lake St. Marys in Mercer County. The request for $15 million dollars from the oil and gas well fund to pay for something that was completely unrelated to oil and gas regulation or the idle and orphan well program was stunning, considering the Ohio Revised Code clearly stipulates how money collected from the oil and gas industry can be used. Now, raids on rotary funds are not a new concept in the state. Rotary funds are accounts in various agencies that generally are program specific. There are likely hundreds of these “rotary funds” across state government. Normally, we see raids on these accounts during the biannual budget deliberation process during the legislative session when the budget is tight and there are projected shortfalls in revenue as compared to expenditures – as was the case during the most recent state legislative budget process. Often times, specific movement of funds are delineated in the final budget bill. However that was not the case for the oil and gas well fund. The ODNR slipped language into the bill that would allow the agency to access funds “for the purposes of satisfying judgments, settlements, or administrative awards ordered or approved by the Court of Claims or by any other court of competent jurisdiction in connection with civil actions against the state.” According to testimony by ODNR at the Controlling Board Hearing, the Agency could raid the oil and gas well fund any time there is another legal settlement that needs to be paid out. Unfortunately, four of the seven members on the panel that day did not stand up for the oil and gas industry. That being said, three members did and we would like to commend them for their actions. State Representatives Jack Cera and Scott Ryan, along with State Senator Charletta Tavares. All of these members formally objected to the request, raised relevant issues questioning the timing of ODNR’s request and the public policy questions of using the oil and gas well fund for unrelated purposes. On July 6th, the Ohio House of Representatives overrode a total of 11 line-item vetoes pertaining to House Bill 49, the state budget bill. One of those veto overrides dealt with the Oil and Gas Leasing Commission, the state body that was created to review state properties for potential oil and gas leasing. Let’s take a look at current law and what the language included in the state budget bill actually does. House Bill 133 (sponsored by State Representative John Adams) was passed and enacted by the state legislature in June, 2011. It was signed into law by Governor John Kasich on June 30, 2011 and became effective law on September 30, 2011. The bill created the Oil and Gas Leasing Commission, which was charged with overseeing and facilitating the leasing of land owned or controlled by state agencies and universities. These properties were classified into four distinct tiers. However, it is important to note that state nature preserves were excluded from these tiers and, therefore, cannot be leased. The Commission itself would be chaired by the Chief of the Division of Geological Survey. The other four appointees would come from the oil and gas industry (2 appointees), real estate industry (1), and environmental interests (1). Per Ohio Revised Code Section 1509.71 (C), Governor Kasich had until October 30, 2011 to appoint these four members to the Commission. He has not, and that is where the budget language comes into play. The language included in House Bill 49 did not delve into any of the policy matters passed during the debate in 2011. 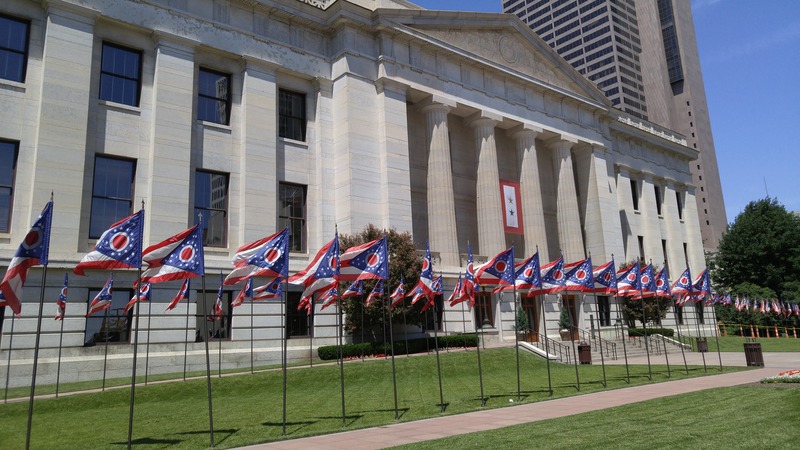 The language simply allowed the Speaker of the Ohio House of Representatives to appoint two members of the commission and the Ohio Senate to appoint two members. That’s it. That is the extent of changes to the state’s oil and gas leasing program in the state budget bill. Procedurally, once these appointments happen, several other procedural dominoes must fall before the Commission begins its work. 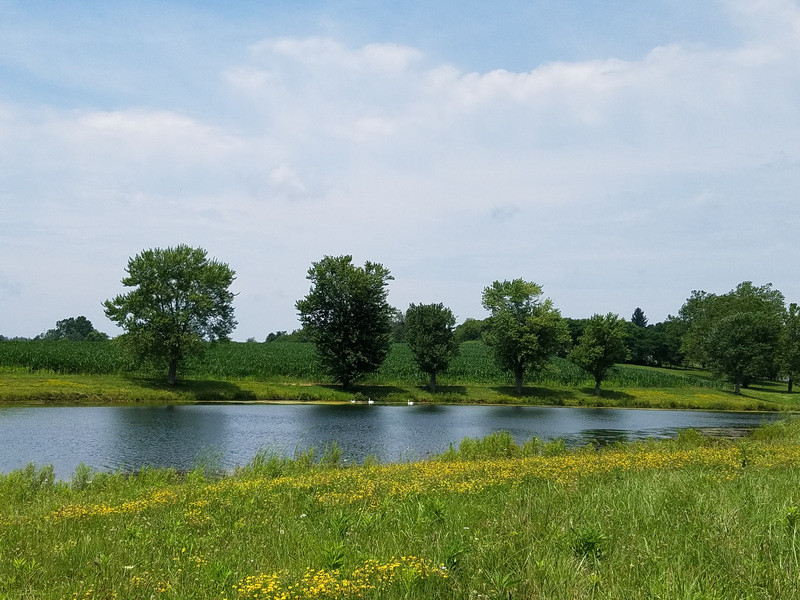 Namely, the state must assess and determine which tiers their properties fall under and the Ohio Department of Natural Resources (ODNR) must establish rules for the Commission. So, when other interests claim that the language would “fast-track fracking in state parks and forests”, that’s simply not the case. The language would start the process to hold a rational, thoughtful process where the state could utilize its oil and gas resources in an effort to gain additional state resources, resources that would be beneficial to state parks and forests. If the Ohio Senate also overrides the Governor’s line-item veto, then these appointments would happen within 30 days of the effective date of this amendment. Doing so would end the almost 6 years of inaction and begin the process in Ohio of discussing the benefits of utilizing state properties for oil and gas exploration. 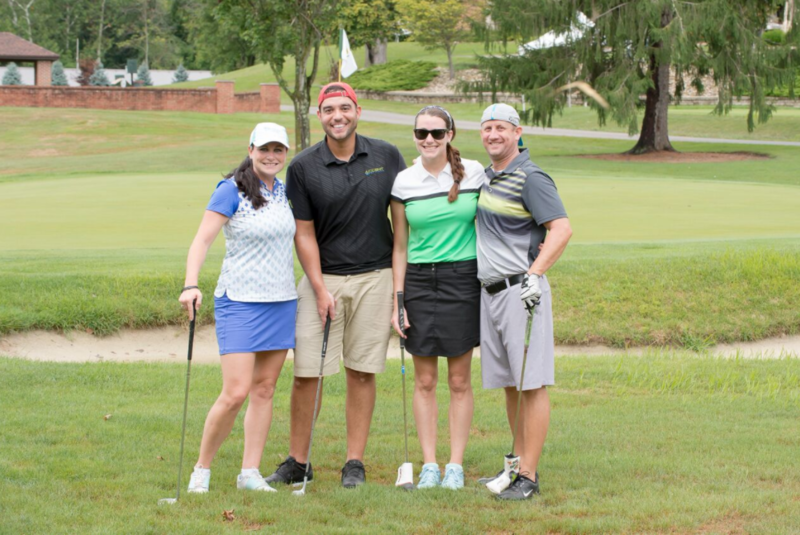 The 2017 OOGA Summer Meeting will be held at the Zanesville Country Club on August 7th – August 8th bringing together the membership and top industry leaders. The Monday golf flight will consist of competitive stroke play at Zanesville County Club. Golf will continue on Tuesday with competitive stroke play at The Virtues Golf Club (formerly Longaberger Golf Club) and a scramble held at Zanesville Country Club. 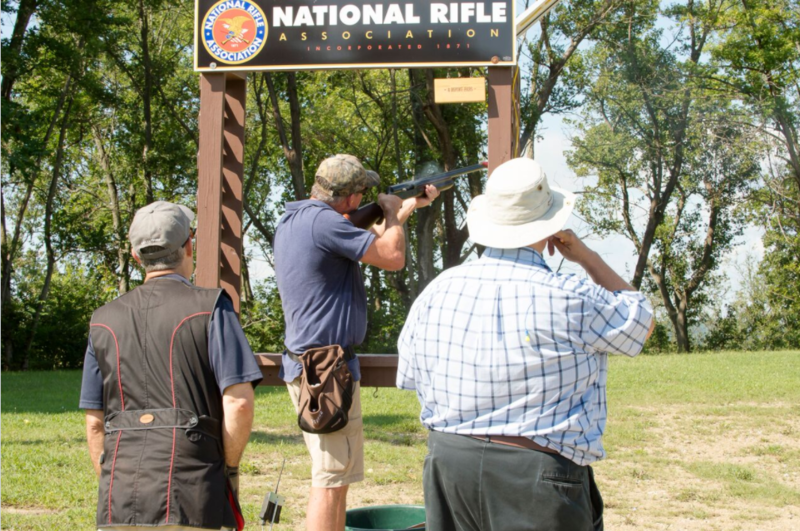 All shooters will be happy to hear that the Ken Miller Supply Clay Shoot will return to Briar Rabbit Shooting Sports. Tennis, euchre, corn hole and other traditional favorites will take place simultaneously at Zanesville Country Club. All Summer Meeting attendees are invited to join OOGA for a new networking welcome reception; beverage and appetizers will be served Monday evening at Zanesville Country Club at 7:30. As has been the tradition since 2006, the 2017 Oilfield Patriot Award event will take place on Monday evening, sponsored by Producer Service Corporation. Festivities will include a reception, dinner, award ceremony, and a video presentation honoring the recipient. *Separate registration required to attend this dinner. Join us as a key partner by sponsoring the event. 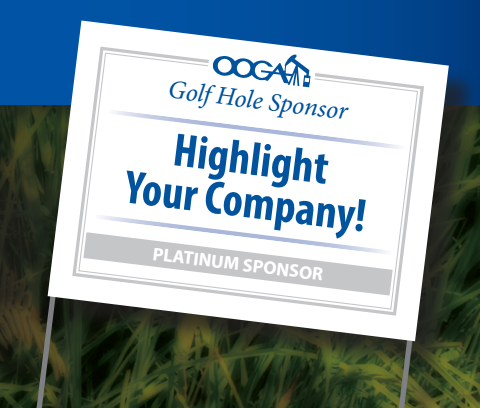 Sponsors receive special recognition throughout the industry by coverage in the event program, OOGA’s monthly Bulletin, the Association and event websites, and on sponsor signage posted throughout the meeting venue. Top-level sponsors also enjoy complimentary attendee registration to the event. The Ohio anti-fracking movement’s latest attempt at relevance proved to be another epic failure on Wednesday, as the so-called “Hands Off Public Land Rally and March” in Columbus was a disorganized and sparsely-attended mess. While the social media campaign of the anti-fracking groups who hosted the rally would lead you to believe they had a decent turnout, EID was on site in Columbus and can confirm less than 70 percent of the people who claim they “went” to the rally and March actually attended. 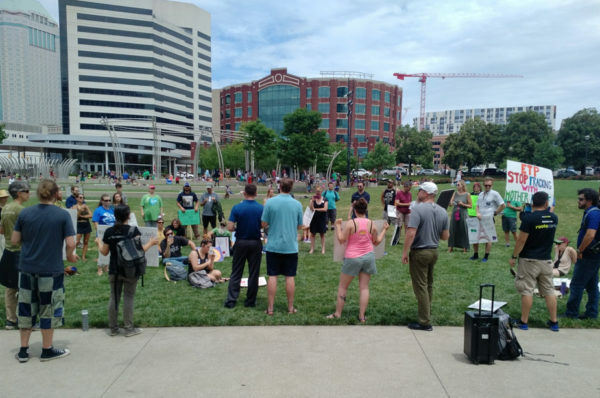 In fact, the group was so disorganized, they did not even obtain permits to have their speakers lined up at the Ohio Statehouse and were instead forced to huddle at a nearby park, as the following photos show. 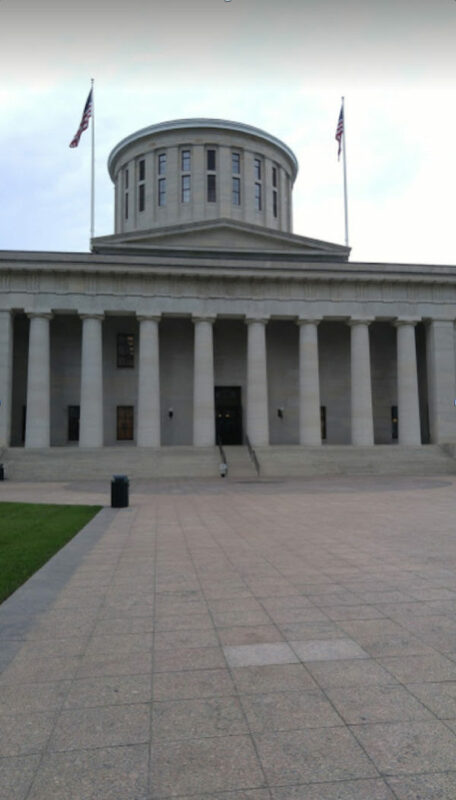 The Ohio Statehouse: Where the June 14 anti-fracking rally was supposed to be held. The entire charade was so underwhelming that, while some media did attend the event, not one news station actually covered it, as there was quite literally nothing to report. The clear disconnect between the social media hype verses reality was another example of how a very small minority of fringe environmental activists are desperately (and unsuccessfully) trying to stay relevant in Ohio. 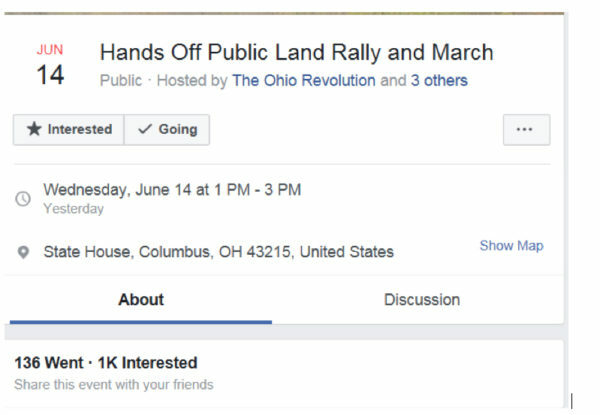 As you can see, the invitation would lead you to believe there was a rally and protest at the Ohio Statehouse which had 136 people who attended. Not so. In reality there were about 40 people who attended the rally, and only one person was actually from eastern or southeastern Ohio (where fracking is actually occurring!). Of course this all incredibly ironic, given that this rally was only attended by one person from “rural America” and by banning fracking and pipeline development, Ohio’s largely rural communities would have been stripped of more than $50 billion in shale investments, thousands of jobs and millions in tax revenues. It’s been two years since the last unsuccessful Ohio Statehouse anti-fracking failure, and as was clear by the attempt this year, fringe environmental activists continue to become less and less relevant. Contrary to how these groups present their cause on social media, the reality is the only sign of life they want you to believe they have is under the guise of social media. The reality is much different, as their message, cause and overall level of support is clearly on life support. 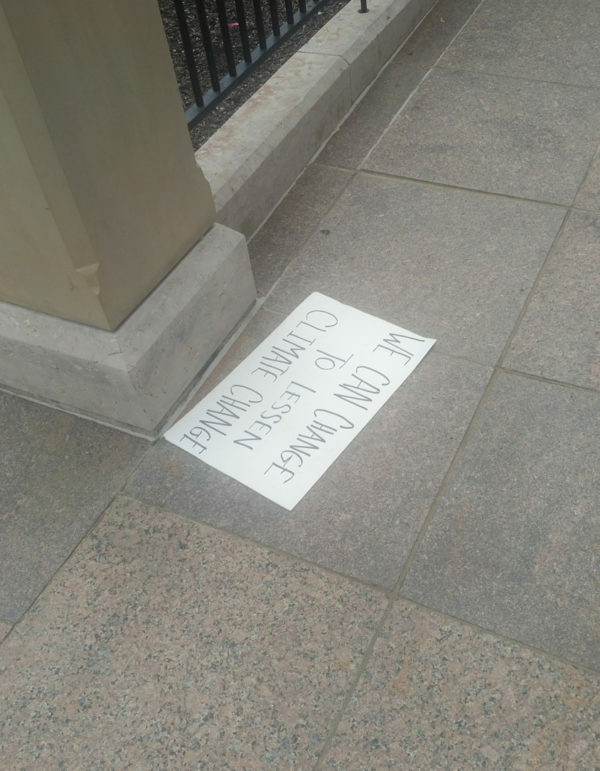 The protestors’ litter on the streets of Columbus is symbolic of their utter hypocrisy and current state of activists’ failing efforts to ban fracking — their message has fallen flat. 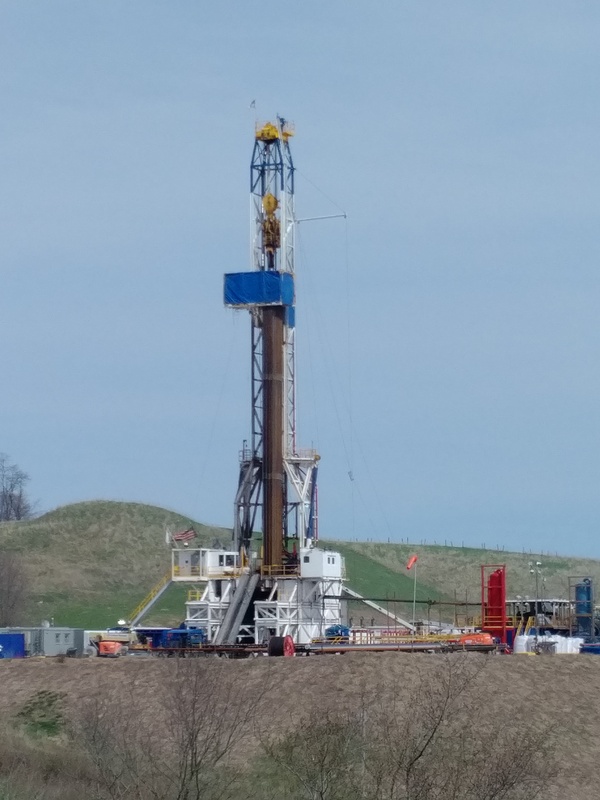 The latest oil and natural gas horizontal production numbers released by the Ohio Department of Natural Resources (ODNR) Division of Oil and Gas Resources Management show a modest increase in production from where we left off ending 2016. The quarterly results show that Ohio producers recovered 3,904,732 barrels of oil and 371,921,659 Mcf (371 billion cubic feet) of natural gas, spanning the first quarter of 2017. The results are always reflective of the previous quarter, this time covering all oil and gas production that took place January 1, 2017 through March 31, 2017 across Ohio. The production results this quarter are a positive sign, as we left 2016 seeing both oil and natural gas production decrease for the first time since ODNR began recording horizontal production numbers. Production increased 9% for oil (up from 3,577,553 barrels) and 8% for natural gas (up from 345 billion cubic feet). Yes, we are up from the lowest point thus far, which is reassuring but production is still increasing modestly. For example, some of the largest production increases on a quarterly basis that we have seen in the ODNR’s statistics is oil increasing 26% in the second quarter of 2015 (going from 4,401,687 in first quarter, to 5,578,255 in the second) and natural gas increasing 23% in the fourth quarter of 2015 (going from 245 bcf in the third quarter, to 404 bcf in the fourth quarter). Since both of those quarters, if production was not decreasing—which it did at one point for both products—we have only seen single digit percentage increases. The confusion behind some of the headlines is that outlets are choosing to report on Q1 2017 compared to Q1 2016. Go back to the first paragraph of this post, and you will see that the number have increased—for both commodities. When looking for an overall trend of a cyclical industry, a quarter-by-quarter comparison over a number of years tends to provide the most accurate representation. We are encouraged to see that oil and natural gas producers are slowly ramping back up. The past two years brought a crippling downturn for the industry and this new sign of life is definitely welcomed by the industry. Another day brings another regulatory or legislative issue being discussed at the federal level, and for once, we can say that those in the oil and gas industry are enthusiastic about the prospect. Before President Trump was elected, America’s energy producers had been targeted for eight long years by the Obama administration, which was searching for ways to regulate the industry out of business—putting YOU out of business. In a past article featured in the April edition of the Bulletin, I shared updates on President Trump’s Executive Orders focused on regulatory reform and encouraging domestic energy production. Those activities continue at a fast and furious pace, attempting to right the regulatory ship, which had gone far off course under the Obama Administration. In addition to Presidential action, Congress has been hard at work as well. In March, the U.S. House of Representatives had passed the Congressional Review Act (CRA) to stop the Bureau of Land Management’s (BLM) Venting and Flaring Rule which would have required that both new wells and existing wells on federal land be subject to strict emissions control requirements. 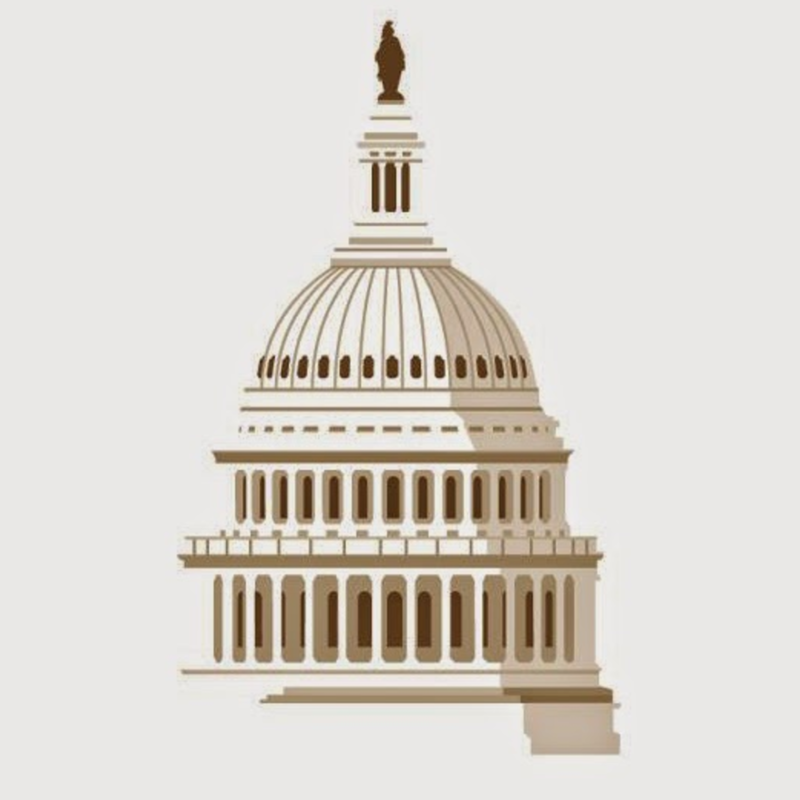 At the time we applauded the House on their good work and began the task of educating members of the U.S. Senate on the dire impact the rule could have on the industry. For two long months the CRA languished in the Senate, the deadline for passage rapidly approached. One of the U.S. Senate members that had outstanding questions was Ohio’s own Rob Portman. OOGA worked to illustrate the detrimental effects of the rule, Department of Interior Secretary Ryan Zinke also worked tirelessly with the Senator to find a path forward to address the Senators outstanding concerns (BLM is a division within the Department of Interior). Finally, we got the word that Senator Portman would vote to support use of the CRA to repeal the Venting and Flaring Rule, with the vote scheduled for May 10, 2017. On the morning of May 10, OOGA was excited that the Senate was prepared to move the issue to the Senate floor for a vote. To our great shock, as well as for his colleagues leading the issue in the Senate, we got word that Senator John McCain (R-AZ), who was believed to be supporting the CRA came out against it. Senator McCain joined two other Republicans, who had previously stated that they would not support the CRA, in voting against it: Lindsey Graham (R-SC) and Susan Collins (R-ME). In spite of its failure, OOGA would like to thank Senator Portman and his colleagues who voted to support the CRA. While the CRA’s failure was a disappointment, this is not the end of the opportunity to revise and improve the rule. Through President’s Trumps previously issued executive order, the Department of Interior had been directed to review the Venting and Flaring Rule. Almost immediately after the vote, the BLM issued a statement that they would be suspending the rule while the agency worked to begin the formal process to revise it. OOGA will be looking forward to working with our producers, with our federal partners, and with the Director Zinke to make the BLM’s venting and flaring rule more reasonable than what the previous administration enacted. Last month, EID took a look at the various #NoDAPL-style pipeline protest camps cropping up throughout the country. At the time, no such camps had been set up in Ohio. But just one month later, this latest craze of the “Keep It in the Ground” (KIITG) movement has made its way to the Buckeye State. A so-called #NoDAPL copycat “action camp” aimed at stopping fracking and proposed pipeline routes has been set up in the Wayne National Forest. And it’s being led by none other than Myron Dewey, an independent filmmaker and one of the more prominent online voices of the Dakota Access Pipeline (DAPL) protests, along with Athens-based Appalachia Resist!, Ohio’s most fringe environmental activist group. If there’s one lesson to be learned from these protest camps it’s that they are predominantly made up of protesters that travel from state to state looking for the next camp to call home. Their goal is disruption at any costs — including illegal activities that end in arrest — and they inevitably leave behind big environmental messes that taxpayers are ultimately forced to pay for. Ohioans have been victims of out-of-state activists for years, and the latest press release from Appalachian Resist! indicates this trend will continue, in addition to possibly foreshadowing the groups’ latest illegal activities. If this scenario sounds familiar, it is because Energy In Depth covered its initial training five years ago. Back in 2012, just as shale development in Ohio was getting started, self-described radical environmental organization Earth First! and its sister organization Appalachian Resist! conducted a chain of training camps, were involved in dangerous and illegal demonstrations, and recruited national groups like 350.org to their cause – actions that led to nothing but destruction of property and a series of arrests. The groups’ first action camp training appeared to be little more than a means to teach people tactics like tree-climbing, similar to this month’s training. However, if one digs a bit deeper they can find the Earth First! Climber’s Guild has ties to a deeper, less-than-noble agenda. Earth First! has been around for more than 35 years, with a mission statement of “No Compromise in the Defense of Mother Earth!” and employs tactics that not only encourage destruction, but put people’s lives in danger. Organizations such as Earth First see growth as evil — from your local car dealership to your favorite ski resort, both of which have been targets of the sister organizations of Earth First, and the Earth Liberation Front (ELF). 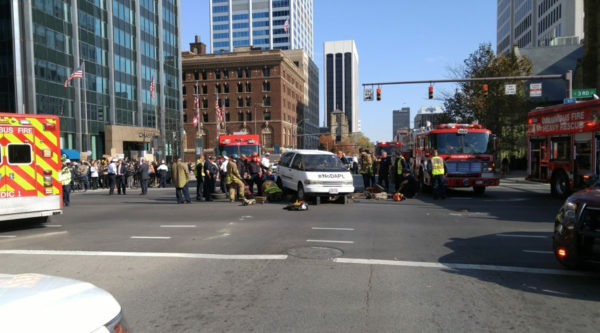 These incidents caused millions of dollars in damage and could have easily ended with an injury or loss of life, and in fact we’ve already seen a few instances of such already in Ohio. For example, Earth First and Appalachian Resist! staged a dangerous display of activism in New Matamoras at a GreenHunter Class II storage site five years ago in which 10 people were arrested, seven of which were from out of state. 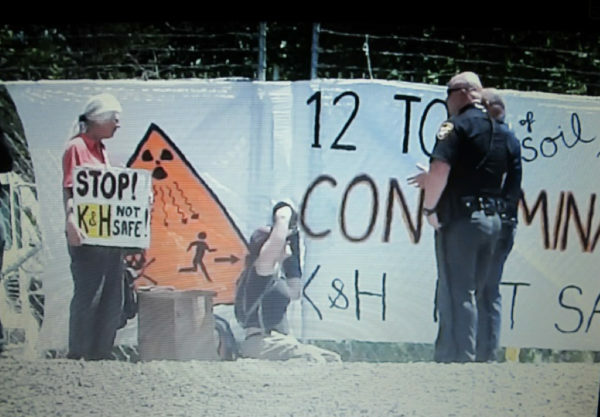 The event brought out 100 activists dressed in Hazmat suits to demonstrate against the facility, all while a fellow member constructed a pole tied to equipment on site. In the end, they disrupted business activities for five hours. A year later, national activists groups entered the Buckeye State as 350.org founder Bill McKibben hosted a rally in Warren, Ohio, sponsored by none other than Appalachia Resist!, as well as groups such as Don’t Frack Ohio (part of McKibben’s 350.org) and Washington, D.C.-based Food and Water Watch. Less than 24 hours after the press release, Cummings chained herself to the gate of the K&H 2 injection well in Torch, Ohio. Notably, the study that prompted Cummings’ actions was quickly denounced by the Colorado Department of Public Health and Environment (CDPHE) executive director and chief medical officer. This information may have been very helpful to Cummings before she was compelled to handcuff herself to a gate, causing the business to be shut down for most of the day, and was arrested and charged with trespassing. Cummings was joined by activist lovers Peter Gibbons-Ballew and Madeline Ffitch. These three amigos must wear their arrest records like a badge of honor, as Ffitch was arrested for blocking access to an injection well in 2012 where she was charged for inducing panic and disorderly conduct, and again in 2014 for trespassing in Athens County. Ms. Ffitch is a “long-time political and environmental activist and crusading journalist”. Last year Ffitch and Gibbons-Ballew were cited “occupying” a Wayne National Forest meeting, once again inducing panic and threatening landowners, as was reported in a September EID blog post. Gibbons-Ballew encouraging people to “think about the economy” after negatively impacting businesses by shutting down traffic and being arrested for inducing panic is ironic on multiple levels, considering Monroe County has overwhelmingly supported leasing the Wayne National Forest. Gibbons-Ballew has also acknowledged he is an “outsider” and not from Monroe County, where the camp was taking place. Ballew’s cohort, Ms. Cummings, also can’t get enough media attention, as she was featured yet again in in this week’s press release, stating that companies can “expect a wall of resistance.” The press release also paid homage to Standing Rock and called upon recruits to stand in solidarity of their cause. Appalachia Resist!’s ongoing aping of #DAPL and Standing Rock via its acts of civil disobedience, press release and the recruitment of leader Myron Dewey showcases just how connected they are to the “Keep It In the Ground” copycat “action camp” craze. One would think they could at least be authentic with this latest stunt, but it’s pretty obvious it is anything but original. In February, protesters began a camp where they built two structures to “disrupt construction” of the Atlantic Sunrise Pipeline and hold weekend training meetings. Funding for the camp is anything but local, with at least a portion — $22,000 — coming from Lush, a British cosmetics company. Arrests have already been made for direct action against the Atlantic Sunrise pipeline. The other Pennsylvania camp is protesting the Mariner East 2 Pipeline in Hunterdone County. Organizers of Camp White Pine in Hunterdon County recently sent out a call to action, asking for more people to come support their cause, playing off the #NoDAPL strategy. Also similar to #NoDAPL — which raised over $12.5 million, none of which has gone to clean up their mess – organizers have donation campaigns going to try to raise money to help them stay in the camp. “[c]ritics say the guerrilla warfare tactics used to hold up the Dakota Access project will be seen again. It’s clear that “Keep It In the Ground” activists are simply traveling from one pipeline protest camp to another in an attempt to stop all oil and gas development, with no consideration for the local population or environment — despite claiming that’s who and what they are protecting. If #NoDAPL is any indicator, it’s the local communities and the states as a whole that will be left cleaning up their messes. Their actions speak louder than their words, and as we can clearly see with the new alias of Gibbons-Ballew, they are trying to deceive the public of who they really are and what their mission truly is. 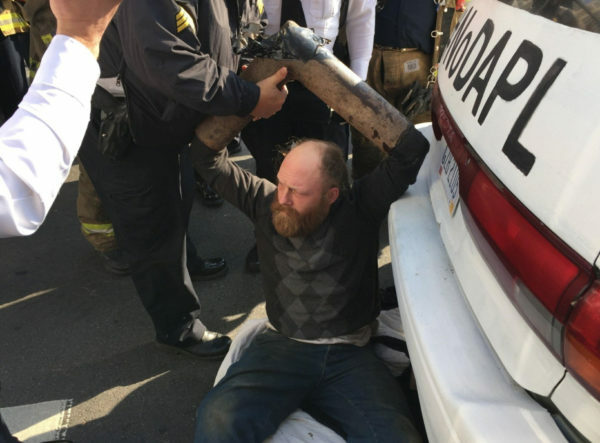 Make no mistake, this group is connected to national, well-funded rogue environmental activists, and they have demonstrated again and again they are willing and ready to get arrested at any costs. Their values and carpet-bagging nature stand in sharp contrast to the more than 80 percent of Ohioans that fully support oil and gas development and truly represent the Buckeye State.